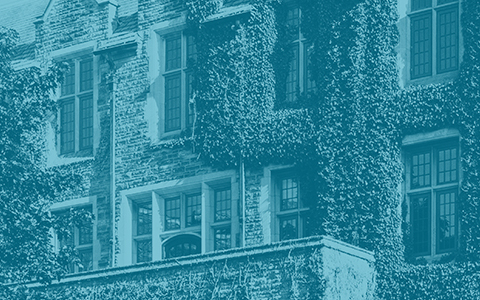 More than one hundred McMaster researchers, graduate students and postdoctoral fellows have received a total of $15.7M from the Natural Sciences and Engineering Research Council (NSERC), announced on campus today by the Honourable Kirsty Duncan, Minister of Science. The awards from NSERC’s Discovery program will impact every one of the University’s six Faculties, and in Science and Engineering, researchers from every department have received individual awards that range from grants for much needed equipment, to an infusion of funding for ongoing, 5-year research programs. The student scholarships and fellowships provide support to a core of the most promising young researchers at our University at a pivotal time in their careers. “The NSERC Discovery program is incredibly important to us as an institution,” says Patrick Deane, McMaster’s president. NSERC has also recognized ten scientists and engineers as “researchers who show strong potential to become international leaders in their respective areas of research,” providing them each with a Discovery Accelerator Supplement (DAS) of $120,000 over three years. The DAS projects range from basic, fundamental science: exploring the social behaviour of fish, worm metabolism, genetic mutations in flies, the mathematics behind population dynamics, and the different physics processes behind soil behaviour, to the applied research of gamma ray detection, designing earthquake resilient buildings, quantum-safe cryptography, hand-held biosensors, and mitigating risk with freight transportation. 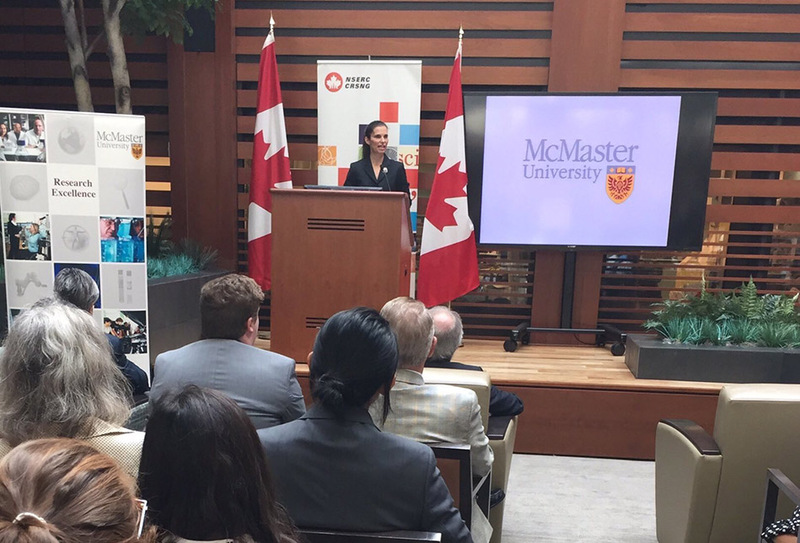 Engineering physicist Leyla Soleymani took to the podium to thank the federal government and NSERC for their investment in McMaster researchers, all of whom are thankful for the opportunity to expand their research teams and their capabilities. “The additional resource of the Discovery Accelerator Supplement will allow me to add new members to my research team, which will accelerate my ability to create the handheld biosensor of the future – capable of detecting and diagnosing infectious diseases, cancers and medical conditions,” says Soleymani. Minister Duncan announced this year’s largest investment in discovery research in natural sciences and engineering, supporting researchers, students and post-doctoral fellows at universities across the country with a nationwide $465M investment funded through NSERC. The complete list of funded research projects, fellowships and scholarships can be found here.